The guest of honor and speaker was the Hon. Michael Henry, Member of Parliament (Jamaican) – Minister of Transport & Mining. 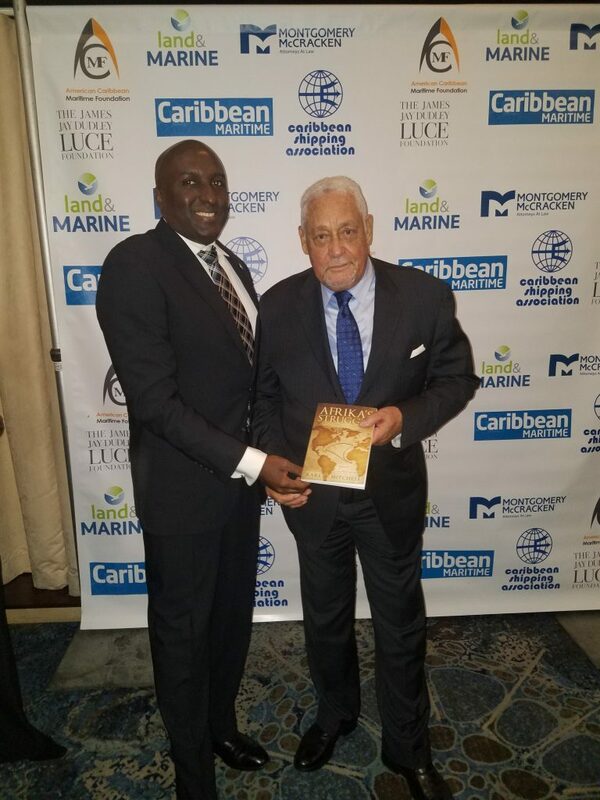 The event was hosted at the Oceana Restaurant located at 120 West 49th Street, New York City. Last week, a senior professorial colleague told me that he will be using Afrika’s Struggle: His Experiential Journey as one of his textbooks starting next spring semester. Additionally, I flew to the University of Memphis for a day of Ph.D. in Business seminars and for my book promotion. The trip proved to be informative and very productive on both fronts. I look forward to returning next semester for a book signing and a speaking engagement. Moreover, a student unbeknownst to me purchased a print copy of my book on Amazon. Yesterday, she asked me for my autograph. Finally, the holidays are around the corner, the print copy, the digital copy, and the audio copy will make great gifts.